Paul Ryan after a closed conference meeting on Capitol Hill on Dec. 12, 2017. The Tax Cut and Jobs Act was passed last month by Congress and signed by President Trump. The final bill reflects some compromises and is substantially different than the earlier House and Senate bills. The new law includes many expected changes, some unexpected ones, and some changes that were expected but didn’t make the cut. Here are the most important things that individual taxpayers need to know. For 2018 through 2025, the new law keeps seven tax brackets, but six are at lower rates. In 2026, the current-law rates and brackets would return. The temporary rate brackets under the new law are as follows. Most folks will benefit from the new rates, but some who are currently in the 33% marginal tax bracket will find themselves in the 35% marginal bracket next year. This unfavorable change will mainly affect singles and heads of households with taxable income between $200,000 and $400,000. However, the new lower rates on income below $200,000 will offset some or all of the negative effect of being in the 35% marginal bracket. For comparisons, see the table at the bottom of this story for the 2017 rate brackets. Year-end planning impact: Most individuals will benefit from year-end planning moves that push income into next year and pull deductions into this year. The new law retains the existing 0%, 15% and 20% tax rates on long-term capital gains and dividends. For 2018, the rate brackets are as follows. Year-end planning impact: These brackets are almost the same as what they would have been under old law, with the only change being in the way the inflation adjustment for 2018 is calculated. Therefore, the traditional year-end tax planning strategies for securities held in taxable brokerage firm accounts still apply. Starting next year, the Senate version of the tax reform bill would have forced you to use the first-in-first-out (FIFO) method to calculate the tax basis of shares that you sell from taxable accounts. If the price of the shares stair-stepped higher as you bought them, having to use the FIFO method would have meant that your taxable gain would be figured by treating the oldest and cheapest shares as being sold first. That would maximize your gain and maximize the resulting tax hit. Fortunately, this proposed change didn’t make the cut, so it’s business as usual. Year-end planning impact: None. You need not sell shares before year-end just to avoid the now-discarded mandatory FIFO stock basis rule. Good! The new law almost doubles the standard deduction amounts, starting in 2018. However, personal and dependent exemption deductions, which would have been $4,150 each for 2018, are eliminated. Obviously, these changes will benefit some taxpayers and harm others. If you have many dependents, you may not be pleased. The 2018 standard deduction amounts are as follows. Additional standard deduction amounts for the elderly and blind are still allowed. Under old law, you could claim an itemized deduction for an unlimited amount of personal state and local income and property taxes. You could also choose to forego any deduction for state and local income taxes and instead deduct state and local general sales taxes. Also see: The Trump tax calculator — will you pay more or less? Starting next year, the new law limits your deduction for state and local income and property taxes to a combined total of $10,000 ($5,000 if you use married filing separate status). Foreign real property taxes can no longer be deducted. So no more property tax write-offs for your place in Cabo. However, you can still choose to deduct state and local sales taxes instead of state and local income taxes. Year-end planning impact: Traditional year-end tax planning advice includes prepaying state and local taxes that would otherwise be due early next year. That way, you get a bigger deduction on this year’s return. However, the new law says you cannot get any tax-saving benefit from using this strategy to prepay state and local income taxes. Specifically, you cannot claim a 2017 deduction for state or local income taxes that are imposed for a tax year beginning after Dec. 31, 2017. How this rule could be enforced is a mystery. The good news: you can still prepay state and local property taxes before year-end and claim a 2017 deduction. That could be a really good idea in view of the new $10,000/$5,000 deduction limitation that takes effect next year. However, if you will be an alternative minimum tax (AMT) victim this year, deductions for state and local property taxes (prepaid or otherwise) aren’t allowed under the AMT rules. So prepaying could do you little or no tax-saving good. Effective next year, the new law reduces the maximum amount of mortgage debt to acquire a first or second residence for which you can claim itemized interest expense deductions from $1 million (or $500,000 if you use married filing separate status) to $750,000 (or $375,000 if you use married filing separate status). However, this change doesn’t affect home acquisition mortgages taken out under binding contracts in effect before Dec. 16, 2017 as long as the home purchase closes before April 1, 2018. Also, the old-law $1 million/$500,000 limits continue to apply to home acquisition mortgages that were taken out under the old-law rules and are then refinanced after this year (as long as the refinanced loan principal doesn’t exceed the old loan balance at the time of the refinancing). Starting next year, the new law also eliminates the old-law rule that allowed interest deductions on up to $100,000 of home-equity loan balances. The new law preserves the valuable break that allows you to potentially exclude from federal income taxation up to $250,000 of gain from a qualified home sale, or $500,000 if you are a married joint-filer. The earlier House and Senate bills both included restrictions on this break, but none of the proposed changes made the cut. So it’s business as usual. Good! The House version of the tax reform bill would have killed the itemized deduction for medical expenses. Instead the new law preserves the deduction and actually expands it to cover medical expenses in excess of 7.5% of adjusted gross income (AGI) for 2017 and 2018 (the old-law deduction threshold for 2017 was 10% of AGI). Year-end planning impact: Since it is now easier to exceed the percent-of-AGI deduction threshold, consider loading up on elective medical expenses, such as vision care and dental work, between now and year-end if that would net you a bigger 2017 deduction. 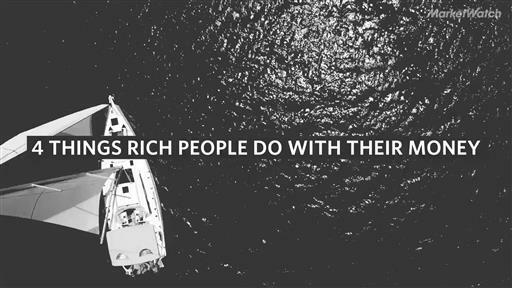 If you want to treat your money like high-earners do, here's why you shouldn't try to get rich quick. The new law leaves existing education-related tax breaks in place. Year-end planning impact: If your 2017 AGI allows you to qualify for the American Opportunity higher-education tax credit (worth up to $2,500 per qualifying undergraduate student) or the Lifetime Learning higher-education tax credit (worth up to $2,000 per tax return and covering most postsecondary education expenses including graduate school), consider prepaying tuition bills that are due in early 2018 if that would result in a bigger credit on this year’s Form 1040. Specifically, you can claim a 2017 credit for prepaying tuition for academic periods that begin in January through March of next year. • Starting next year, you will not be able to reverse the conversion of a traditional IRA into a Roth account. Under the old-law rules, you had until October 15 of the year after an ill-advised conversion to reverse it and avoid the conversion tax hit. At this point, it is not clear if this change would prevent you from reversing a 2017 conversion by 10/15/18 or if would only prevent you from reversing a conversion done in 2018 and beyond. So if you have a 2017 conversion that you already know you want to reverse, get it reversed before year-end to be on the safe side. • Unfortunately, the new law retains the individual alternative minimum tax (AMT), but the AMT exemption deductions are significantly increased and phased out at much higher income level, starting next year. For many folks AMT exposure was caused by high itemized deductions for state and local income and property taxes and lots of personal and dependent exemption deductions. Those breaks were disallowed under the AMT rules. With the new limits in deductions for state and local taxes, the elimination of personal and dependent exemption deductions, and larger AMT exemption deductions, many previous victims of the AMT will find themselves off the hook, starting next year. • Starting next year, the maximum child credit is increased to $2,000 per qualifying child, and up to $1,400 can be refundable (meaning you can collect it even if you don’t owe any federal income tax). In addition, a new $500 nonrefundable credit is allowed for qualified non-child dependents. • Starting next year, deductions for moving expenses and most miscellaneous itemized expenses are eliminated. • Starting next year, itemized deductions for personal casualty and theft losses are eliminated, except for personal casualty losses incurred in a federally-declared disaster. • Starting in 2019, you will no longer be able to deduct alimony payments if they are required by a divorce agreement entered into after 12/31/18. Recipients of nondeductible payments won’t have to include them in taxable income. • Tax breaks for adoption expenses are preserved. • The tax credit for qualified plug-in electric vehicles is preserved. For details on this credit, see: You can get a $7,500 tax credit for a new electric vehicle. • Starting next year, the unified federal gift and estate tax exemption will basically double — to about $11.2 million or $22.4 million for a married couple. Wow! That is indeed a tax break for the rich. This isn’t really the last word. For the next few months, you will see many more words about other changes in the new law along with more details and analysis and tax planning strategies. My next column will cover the 10 most important changes for small-business owners. So please stay tuned.